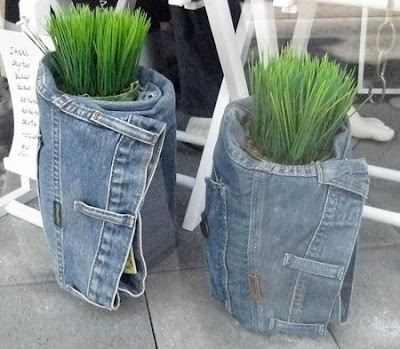 18 Unique and Unusual Ways To Reuse Old Denim Jeans. 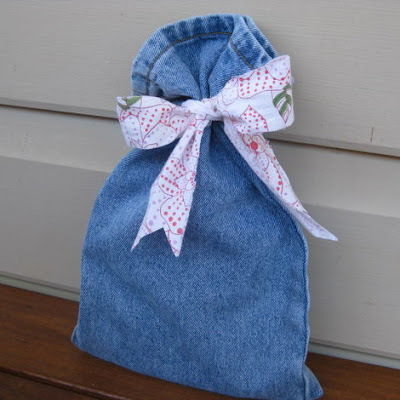 We have some really creative and cool uses for your old denim jeans that we are sure will definitely impress you. 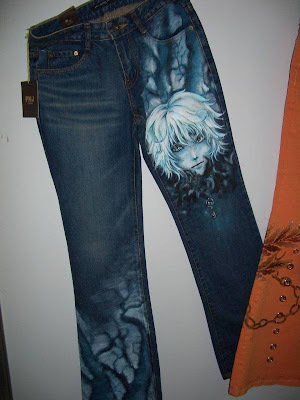 Apart from these, we have jeans sculptures, jeans body paint, jeans 3D painting, painting on jeans, jeans wall painting, jeans furniture etc. 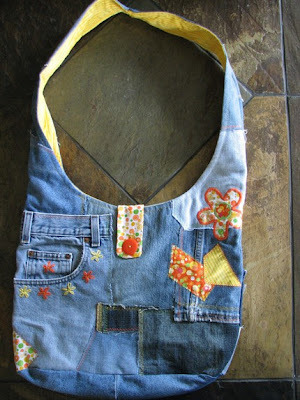 Creative Use Of Old Denim Jeans: Here are some more cool and creative ideas of how to use your old jeans. 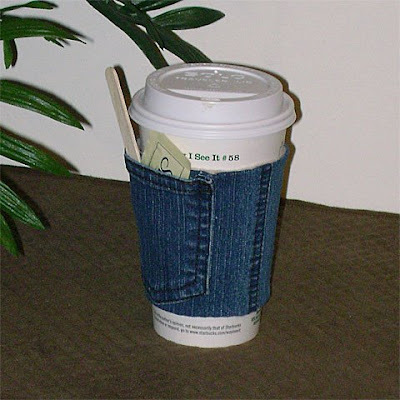 A cool way to use your old jeans, just wrap your jeans around the potholder. 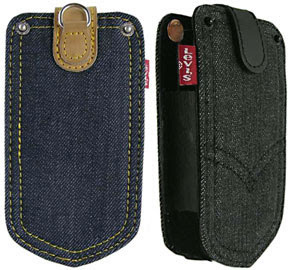 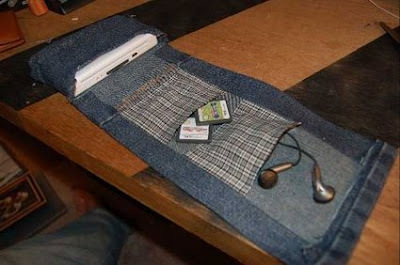 If you are interested in making a nintendo DS lite case from an old pair of jeans and some glue, here are the details - link. 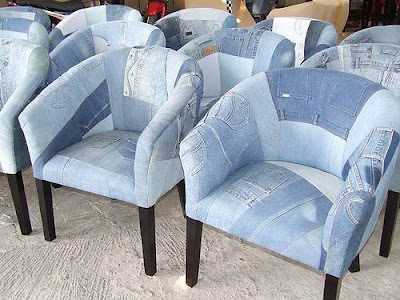 Another beautiful way to use your old jeans; create a sofa out it. 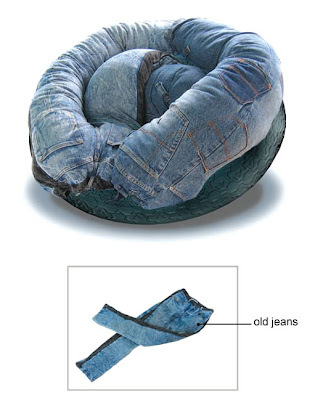 All you would need is old jeans, some old socks, metal sofa feet, an old tire and lots of creativity. 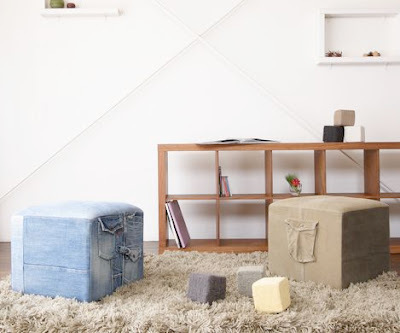 Japanese sofa maker NOyes turns old jeans into Ottomans, though the process takes about three weeks and "$400". 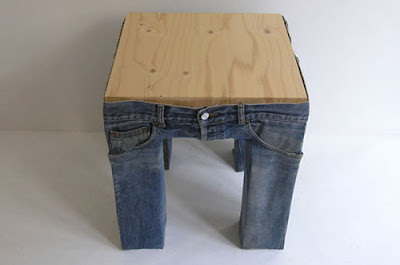 You can use old jeans to dress up your furniture. 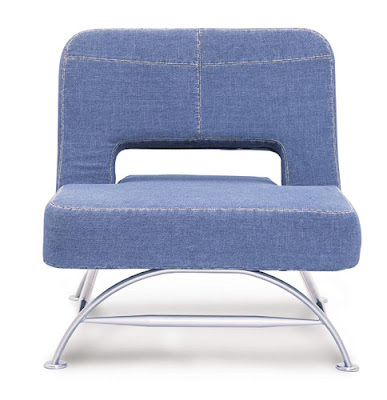 A pair of jeans can be used to form the chair; "The design idea is centered around the notion that a simple pair of jeans can form a chair with no modification to the garment." 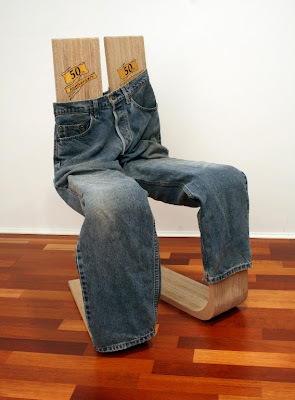 Another jeans chair for one person with interesting jeans design. 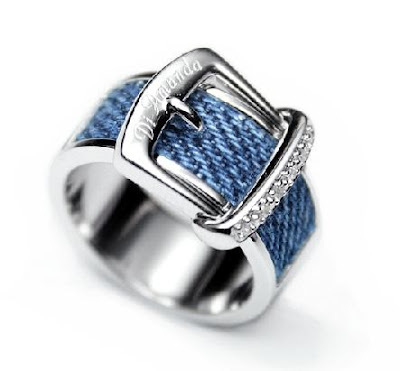 The design team of AtelierBLINK created it. 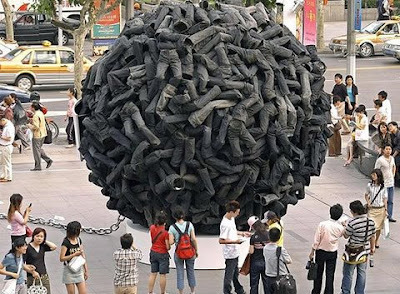 This ball is made entirely of jeans, it's a part of the exhibition where every visitor has the chance to win $625 US if they can correctly guess how many pairs of jeans were used to create it. 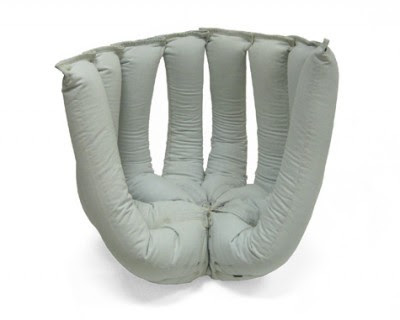 This is the creation of Lee Pirozi and it seems to be quite intriguing. 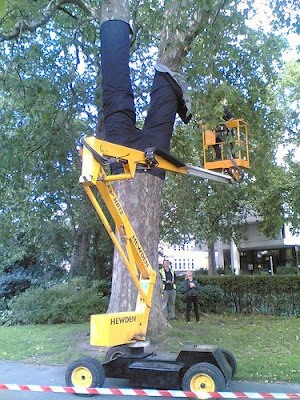 This is the work of R Pruit. 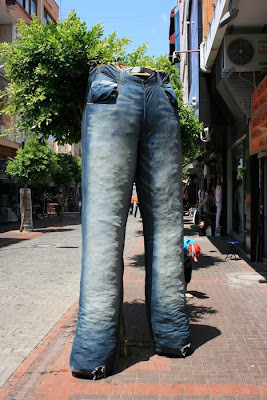 This sculpture comes from Alanya, Turkey. 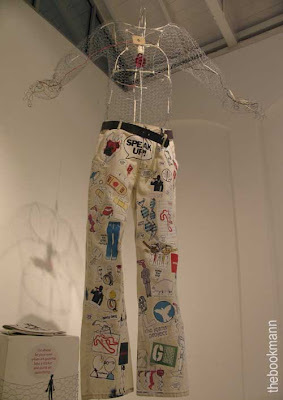 This sculpture was created by a student using common everyday clothing and some stabilizing wire. 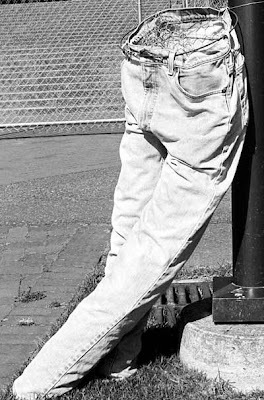 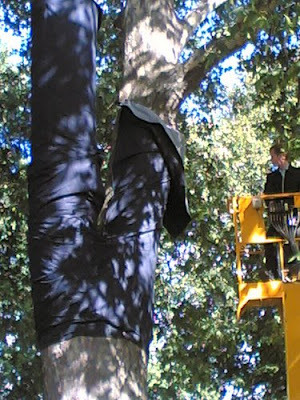 This sculpture features a pair of blue jeans, seemingly relaxed against a light pole. 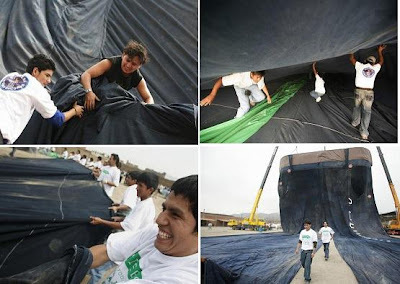 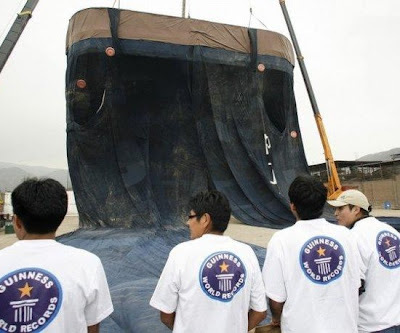 This pair of blue jeans measures 141 feet (43 m) tall and 98 feet (30 m) wide created to break the current record which measures 114 feet tall and 82 feet wide. 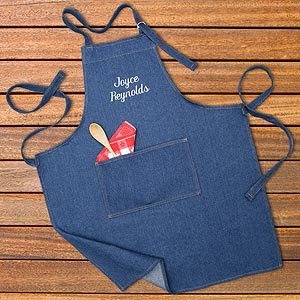 It features pockets, red buttons and a brown belt. 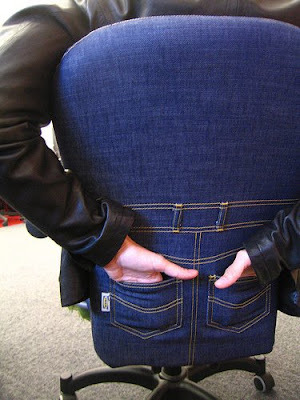 What more, after the event the area school children gets backpacks created out of this jeans. 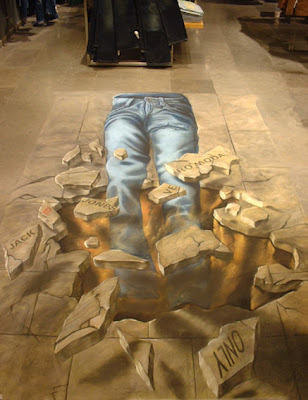 The '3D Chalk Art' never misses to impress the viewers. 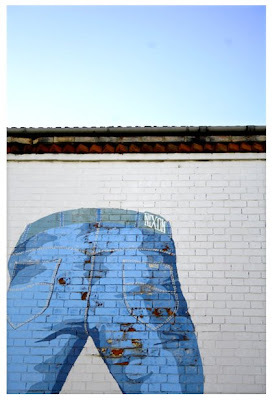 It's painted on brick wall on Curzon Street, Derby. 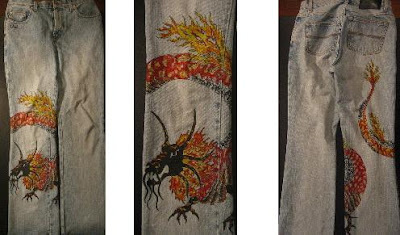 Painted jeans - International Women's Day 08. 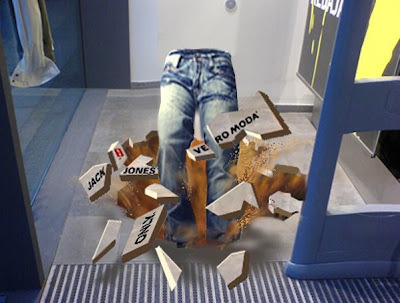 Jeans becomes a canvas for the art here. 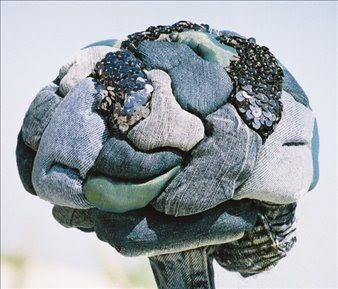 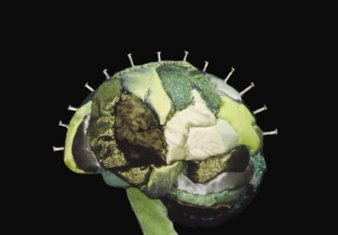 This comes from an art project where piece of art is created using a pair of jeans. 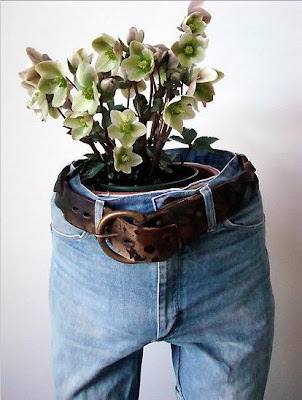 Many more such interesting, unique, fabulous fashionable art pieces can be seen here. 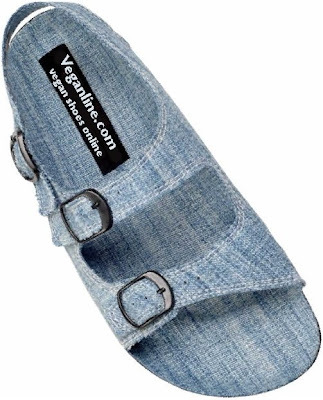 Don’t miss to check out “Unique and Unusual Ways To Reuse Old Denim Jeans – Part: 1| 2”.